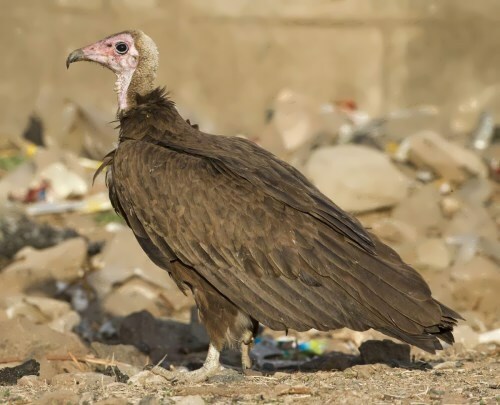 Vultures are large birds of prey. 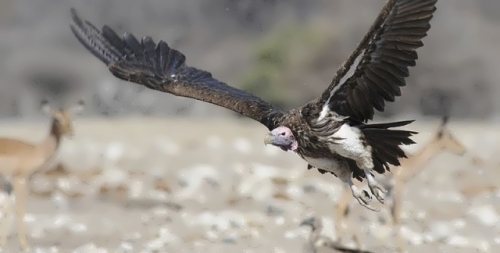 Unlike other birds of prey, vultures usually do not hunt for live animals. 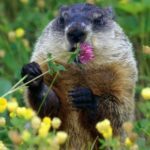 They mostly eat the bodies of dead animals instead. 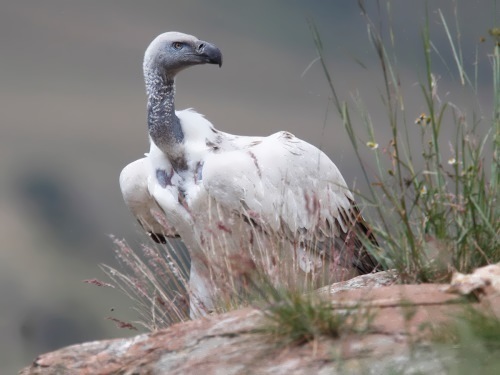 However, vultures have been known to attack relatively helpless, recently born, young animals. Vultures can fly for hours, soaring gracefully on their long, broad wings. Their feathers are usually brown, black, or white. They have excellent eyesight. 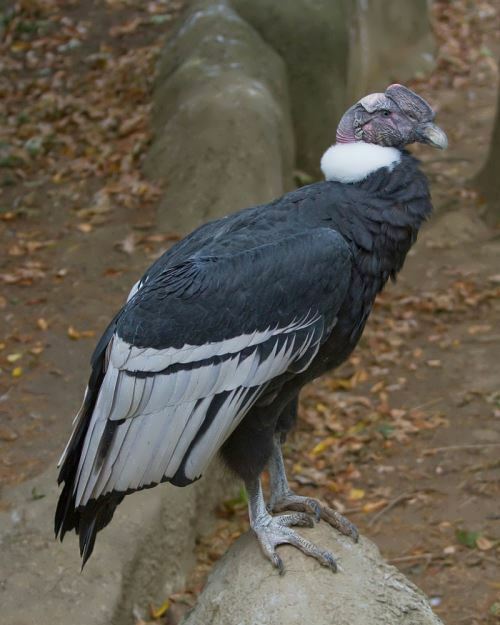 Vultures are among endangered birds. Their numbers have been declining everywhere. Some of the remaining birds nest in Tibet or Mongolia and winter in southern Far East of Russia. 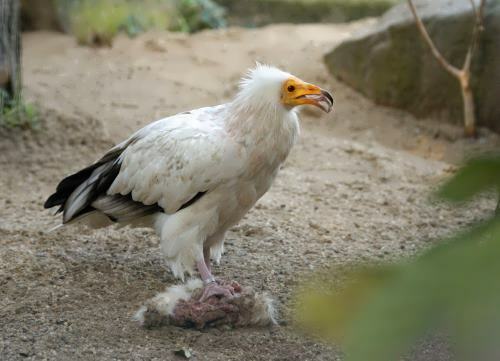 Whenever vultures manage to find piles of dead flesh they eat as much as possible as they are desperate for food. Some overeat and get unable to fly. Then they become an easy target for poachers, drivers or cruel people who simply love stoning. 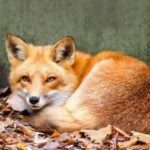 As a result, many birds have died. 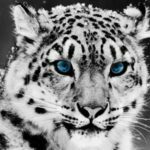 If winters are severe and bring heavy snowfalls, the result is also tragic. 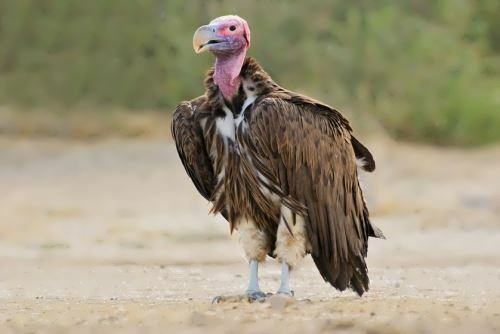 Vultures cannot find any food and die of hunger. 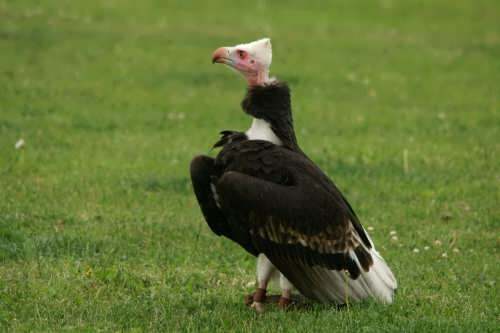 The vulture used to eat the carcasses of large migratory mammals. 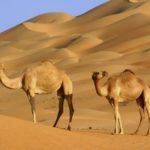 Now, it must depend on dead livestock for food. 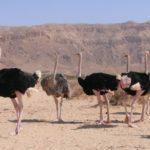 The birds can live more than 40 years. 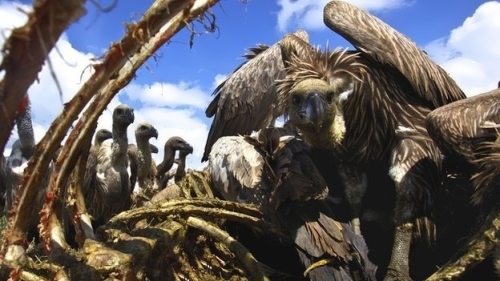 Vultures begin to build their nests in early March. The nests are made of grass with a rim of feathers and sticks. The nests are often used for several years. 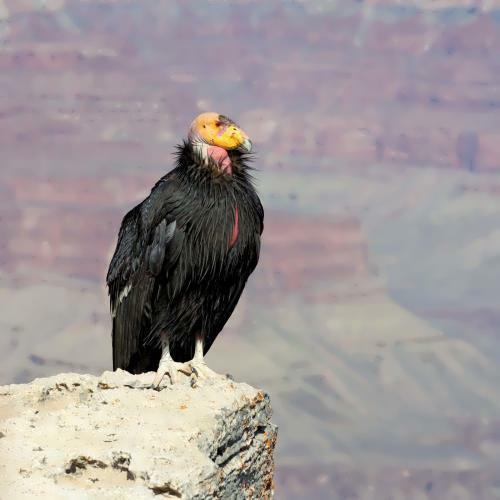 People in Tibet and China called black vultures – sacred eagles. In Buddhism, this birds increase the dead body’s karma. 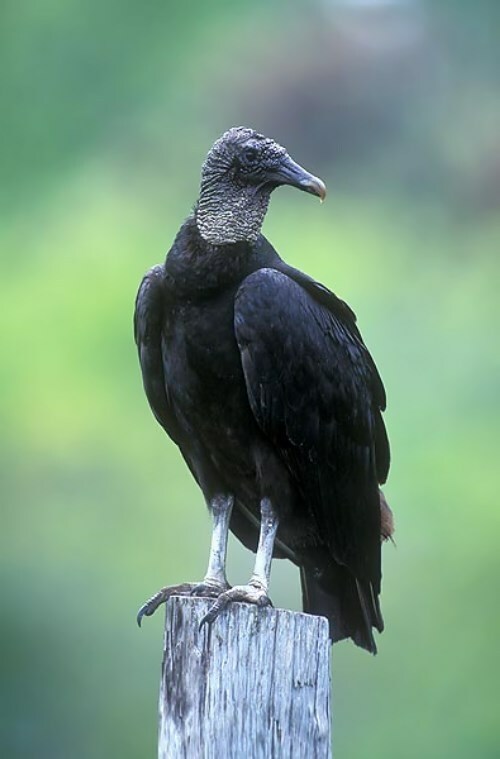 The black vulture is the largest bird in Europe. It has a wingspan of three meters, a big bill and a short neck and tail. The young birds are black, but grown-up birds are actually chocolate brown. The Cape vulture, also called the Cape griffon, is an Old World vulture that belongs to the same family as hawks and eagles. 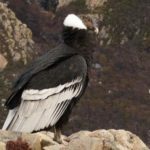 Andean condor (Vultur gryphus) is the largest flying bird, resident of the Andes. Turkey vulture (Cathartes aura) has highly developed sense of smell. 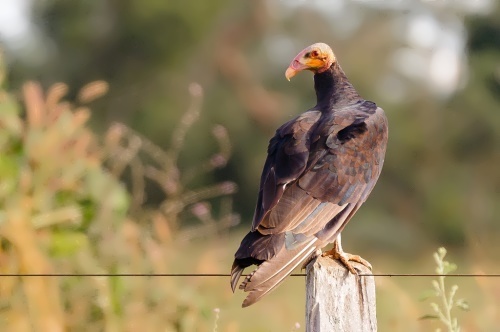 Yellow-headed vulture (Cathartes burrovianus) can be seen in Mexico, Panama, and the lowland areas of South America. 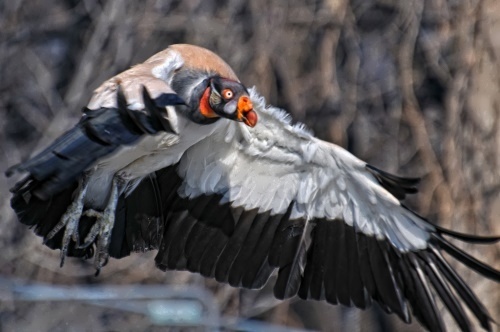 King vulture (Sarcorhamphus papa) is a bird with pinkish-white plumage and black flight feathers. 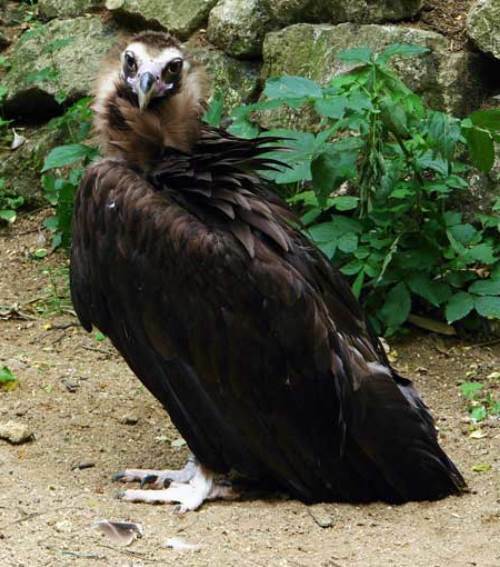 Lappet-faced vulture (Torgos tracheliotus) is the largest of the African vultures, and second in size only to the European Black Vulture among Old World vultures. 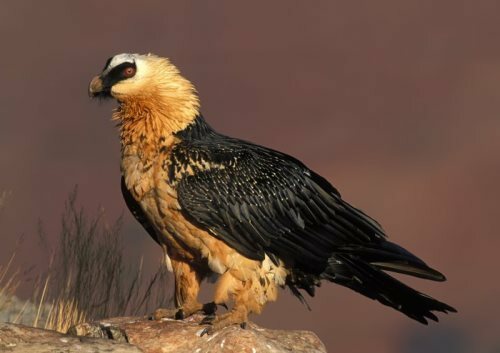 Lammergeir or bearded vulture (Gypaetus barbatus) is a handsome bird. Egyptian vulture (Neophron pecnopterus) is a small vulture that lives in Africa, southern Europe, the Middle East, southwestern and central Asia, the Himalayas, and India. 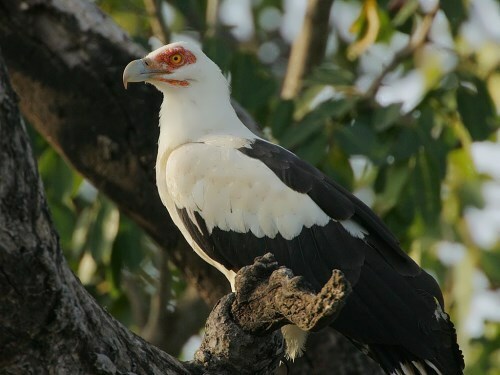 Palm-nut vulture (Gypohierax angolensis) eats crabs, molluscs, fish, and the husks of the Oil Palm. It lives in Africa.